What better way to begin offering children's cooking classes than with pizza and mango smoothies. 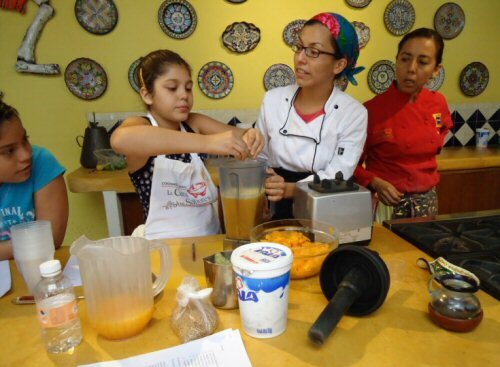 The inaugural children's cooking lesson at Chef Pilar Cabrera's Casa de los Sabores, imparted the basics of kitchen safety and hygiene, composting and recycling, and nutrition, all within a three-hour session. 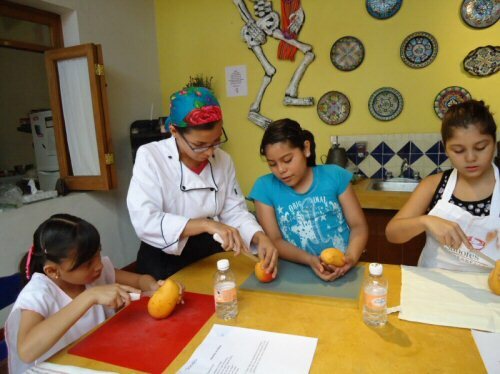 And at the same time, lead instructor Ninfa Raigosa infused the morning with helpful food preparation tips that even as adults we don't always learn early enough in our culinary lives.  But best of all, it took place within the context of preparing recipes which are fun for children to make --- with the dreaded green salad snuck in at the end. The idea of offering cooking lessons for young boys and girls came to fruition as a result of two phenomena. 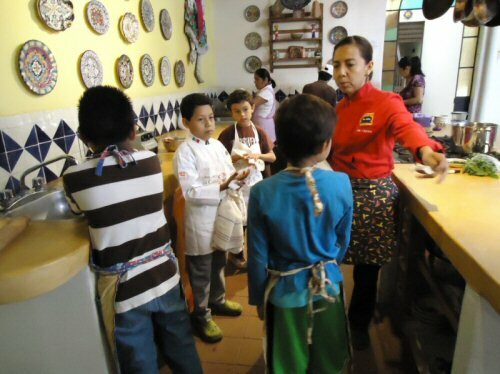 Firstly, often in the course of fielding inquiries for cooking classes from tourists visiting Oaxaca with their families, Chef Pilar would be asked whether or not children could attend. Of course age has always been a factor, but often requests have had to be rejected so as to ensure that classes proceeded in an orderly fashion without undue disruption, for the benefit of the mainly adult aficionados of Oaxacan cuisine. Secondly, many Oaxacans are at a loss for what to do with their children once school is out for summer vacation. While certainly activities abound in Oaxaca, relative to what's available in larger urban centers, they're limited. Why not offer a two-week cooking course in July? And so this initial class held on May 1, 2010, was intended as a precursor to initially a summertime cooking course, and then classes during other holiday times throughout the year. For tourists traveling with children, timing should be perfect. And for multiple families traveling together at any time of the year, this could be just what the pediatrician ordered. Of course Pilar Cabrera's reputation as a national figure on the Mexican culinary scene has long been established through her "House of Flavors" cooking school and downtown Oaxaca restaurant La Olla, and more recently through her forays onto the international stage (food festivals in Toronto and San Antonio, with upcoming dates in Austin and Stratford). She hand-picked Ninfa Cecilia Raigosa Paras to head up this new initiative for two reasons. Firstly, Chef Ninfa arrives with a diversity of experience, including educational training (at the Rocatti Centro de Estudios Culinarios), in catering and banquets, at various restaurants, and in specialty bakeries (i.e. Deli Cupcakes and Dulce Nectar). Secondly, and perhaps key, is Chef's Ninfa's uncanny ability to relate to children using her amiable personality and warm smile - and just like Pilar, she's bilingual. 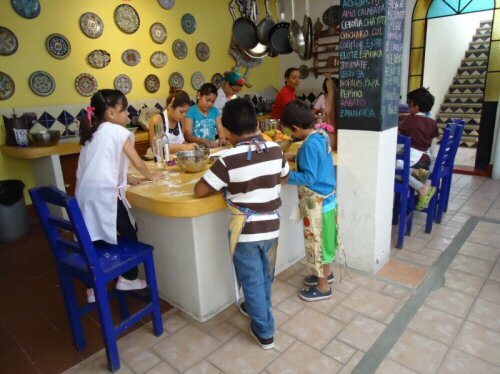 The bonus for American and Canadian children is that with a mixed class of Mexican and foreign visitors, and bilingual instruction, the kids are bound to learn some basic kitchen and ingredient words in Spanish, if not through direct teaching, then certainly through osmosis. Chefs Pilar and Ninfa were both at the helm of this first class, attended by ten children of varying ages. Most parents remained on site at the outset, to take photographs and to obtain first-hand assurance that their children would be comfortable in a class of predominantly unfamiliar faces. In this type of learning environment the ice must initially be broken. Here it was achieved by asking each child's name and promoting interaction between the children themselves, and with Ninfa and Pilar. The ingredients for each recipe were contained in a separate large, round colorful basket. "Who knows why we use yeast?" And then to reassure parents, "when we cut these mangos to make the smoothies, we won't be using sharp knives; but you should always be extra careful when using knives, and never, ever raise a knife to head level. Can someone tell me why?" Recipe sheets are distributed. Chef Ninfa goes through each recipe, pointing to the ingredients in each basket and briefly explaining how they will be used. For the pizza dough segment, the group is divided into two teams, one learning to make the dough from scratch, and the other about kneading and rolling: "Always mix the dry ingredients first, and use your hands." And for the benefit of those who had grown up watching their abuelitas making tortillas: "Making pizza dough is similar to making tortillas; if it starts to stick, use more flour." Hands-on classes tend to work best, especially so for children. "Okay, anyone want a cookie?" Three times in the course of the lesson, short breaks are encouraged so as to not overload information intake nor run the risk of boredom setting in. "There are plastic bottles of water over here, and a couple of marking pens so each of you can write your name so they don't get mixed up." The children are given a choice of making large or medium crusts, by shaping the dough themselves, or choosing from the several small forms which are provided; hearts, mushrooms, trees, and squares, triangles, circles. The sauce has been pre-mixed, but the children are encouraged to choose their toppings from selections of veggies, sliced meats, and even fresh basil. "Did you know that a mushroom is actually a fungus?" "Now let's all wash our hands again. But let's not forget to first clean off our work areas well, and put the organic waste in this bin, and the rest over there. Does your neighborhood have recycling programs?" "Attention everybody please; now while the pizza is in the oven we're going to make the mango smoothies. I'm going to teach you how to peel your mangos, safely, by carefully cutting four strips through the skin ... just like peeling a banana." The children are encouraged to use every bit of pulp, right down to the pit. "Here's the bowl with the mango cut up, and now we're going to add some pineapple, some orange juice, a bit of yoghurt .... and who knows about linseed and why we add little bit to the blender as well?" A brief discussion ensures about omegas and energy. Smoothies are prepared and poured into plastic cups accompanied by straws and small decorative drink umbrellas. "Taste how sweet it is; and you know, we didn't put in any sugar. You can make your own smoothies using other kinds of fruit as well, such as watermelon and cantaloupe, and they'll taste just as fresh, flavorful and sweet, without any added sugar. By the way, there's a bowl of strawberries over there if anyone wants a little snack." The children are then asked to review their printed recipes for the salad. Some had actually put check marks beside the pizza and smoothie ingredients as they were being used. A lesson ensues about the different types of lettuce, its general lack of taste, and hence the reason for using dressing: "We always use oil, vinegar, salt and pepper, and today we're using balsamic vinegar and olive oil. Has everyone tried this kind of vinegar? Okay then, we'll each try a bit. It'll be a bit sweet." "Is it soya sauce," someone asks. "It's delicious," another pipes in, while a third emphatically states he doesn't like it. "Vinegar and oil have to be mixed together really well. See the oil at the top; now watch." Plates are passed out, and each child is encouraged to create his own salad by adding pre-cut vegetables and grated cheese to the organic lettuce. The printed salad recipe sheet concludes with: "Taste, check the seasoning, and serve immediately." The pizzas then are removed from the oven and allowed to cool; each child is encouraged to take what he made, as well as to sample from the larger pizzas. The group sits around the large rectangular table, indulging in the fruits of their labor, while chatting and joking with their new-found friends. The summer 2010, two week course will present participants with an opportunity to learn to prepare menus from different parts of the world, each day represented by the cuisine of a different country. Subsequent series of classes will likely follow suit. Groups interested in single lessons will be able to choose from a selection of international menus, but there will inevitably be restrictions in terms of dishes requiring stove-top preparation, out of an abundance of caution. According to Chef Pilar, "children's safety must remain the foremost consideration." This page has been visited times since July 1, 2010.